Also at the May Chapter Meeting on Monday May 2nd, we will have a group of special guests attending. 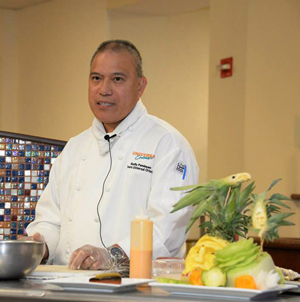 The Chef from the Boys & Girls Club is bringing a group of his students. The Boys & Girls Club has been involved with us over the years, and we try to support them whenever possible. The students in their Culinary program are in need of something that we all probably have too many of: Chef Coats. I’m willing to bet that most of you, including myself, have coats in your closet that you haven’t worn in a while. They don’t fit, they’re from your old job, or maybe — if you’re like me — too lazy to get rid of them. Well here’s the solution. Bring them to the May meeting. Coats, aprons, kitchen shirts, or bar mops, anything you are not using. It doesn’t matter if they are embroidered, these students need coats to wear when cooking. The only requirement is that they are clean (minor battle stains are ok) and folded or on hangers. The Boys & Girls Club will be glad to accept them. We will have bins on hand to help transport them back to the club. Lets try and fill them up! 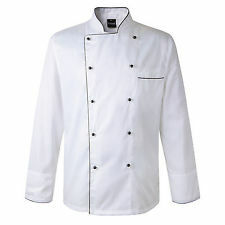 I have two chef coats and one chef hat that I would like to donate to your company. They are brand new, never been worn, but the name “Cheft Turner” is engraved on all items. I purchase these items for a friend who was to take the class and never did. So let me know how I can get these items to you, so they can be used for a great purpose. Tammy, we will find out a contact at the Boys & Girls Club and get back with you. Thank you. I know I am too late for the event but I do have approx. 8+ chef jackets, they have served me well, are clean but may need industrial cleaning to get them whiter. They have no engravings, about 1 or 2 are long sleeved but the rest are short sleeved. I really do not want to throw them away but unsure if anyone wants to wear them or any services i can donate them. Thomas, your comment slipped by my notice. Are you still looking for a home for those jackets? If so, consider donating them to the Second Harvest Culinary Training program. Let me know if you need a contact over there.